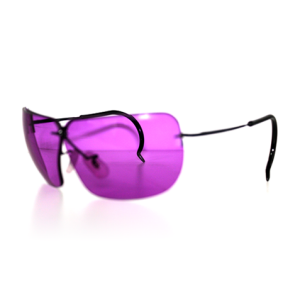 The all new All American frame wraps around the face more than conventional frames, eliminating side light and view of lens edge. The all new Jr. All American frame wraps around the face more than conventional frames, eliminating side light and view of lens edge. Lenses available in plano and Rx and can be used with premium lens offerings as well including our new HD colorsThe all new Jr. All American frame wraps around the face more than conventional frames, eliminating side light and view of lens edge. 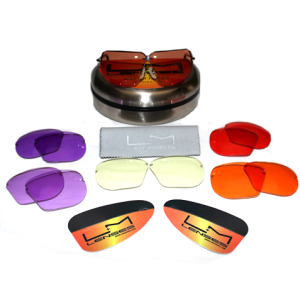 Lenses available in plano and Rx and can be used with premium lens offerings as well including our new HD colors. 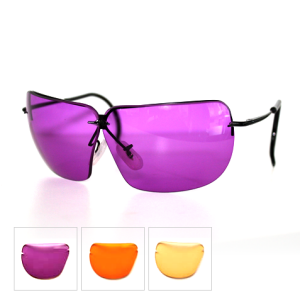 Yellow, Target Orange, LM Red, Bronze, Lt. Purple, Dark Purple. 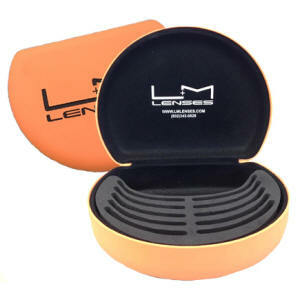 Introducing the LM Lenses Aluminum Clam Shell Case. 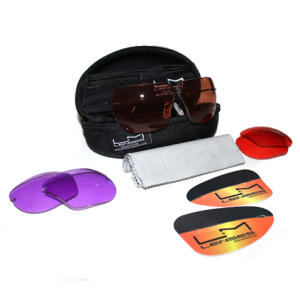 This case is perfect for holding your shooting glasses and protecting them from the elements. Equipped with a semi-hard exterior and plush interior it's the perfect case for your shooting glasses. 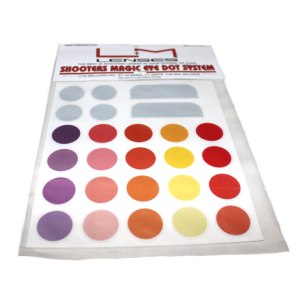 Complete Shooters Magic Eye Dot System is used to correct cross-dominance in eye sight while shooting.